Arizona Property Maintenance , provides landscaping and grounds maintenance services. Our landscape maintenance services help enhance property value and appeal. When customers visit your business, a well-maintained landscape can play an integral part in shaping the image of your business. From the time a customer arrives at your property, you've already begun making an impression. Our experts keep your business looking their best. Our lawn and garden professionals know the proper plants, shrubs and trees for every type of soil and climate, and the appropriate care needed to keep them vibrant and healthy. We take care of landscaping design, green care and tree care. We also provide seasonal cleanups, mulching, bed planting, pruning, fertilization and herbicide application. Our team makes your business an attractive and inviting place. 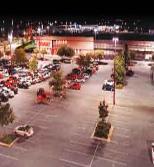 We service specialty retail shopping centers, office parks, parking garages, industrial facilities, and mixed use properties.